8502 Hurstbourne Woods Place Louisville, Kentucky 40299 | Home for Sale | MLS #1355250 | Joe Hayden Real Estate Team - Your Real Estate Experts! Welcome to 8502 Hurstbourne Woods Place in the desirable Hurstbourne Woods Subdivision! This beautiful brick walk-out ranch has lovely curb appeal and a great floor plan! 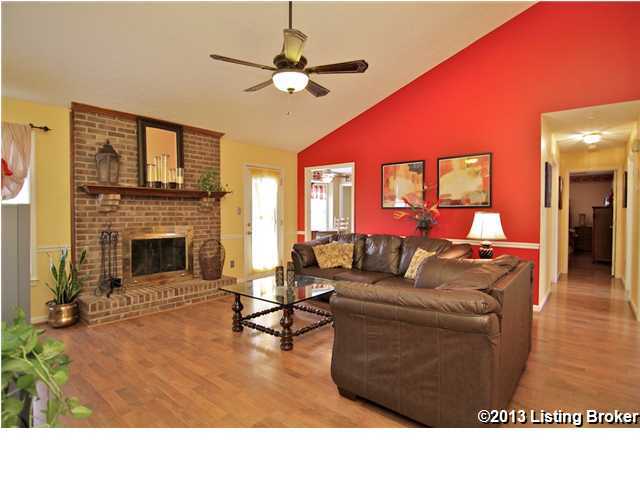 Upon entry you will notice the spacious great room complete with fireplace and vaulted ceiling. The great room flows into a delightful eat-in kitchen that features a breakfast bay window looking out to an absolutely awesome backyard! 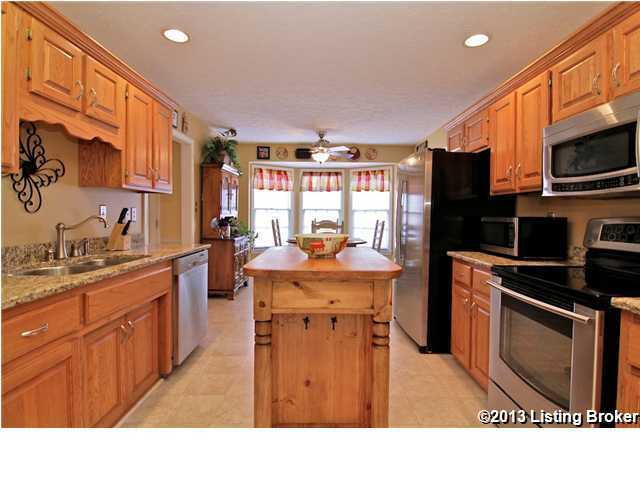 The kitchen features stainless steel appliances, granite countertops and lots of beautiful cabinetry. The formal dining just off the kitchen features another wonderful vaulted ceiling and a decorative arched window for lots of natural light. The home benefits from a split bedroom layout for added privacy. 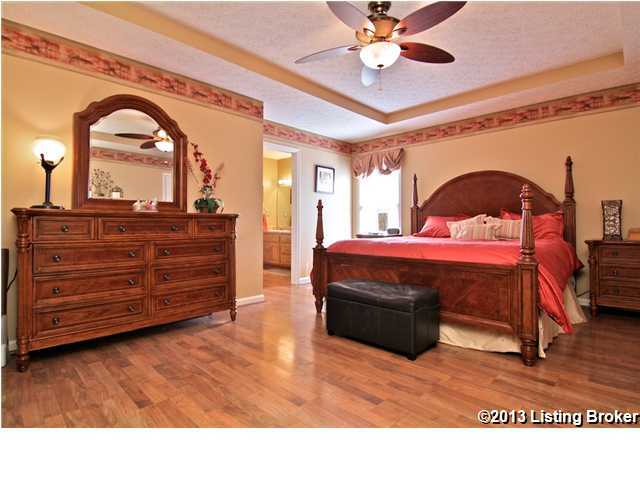 The spacious master bedroom has ample closet space, plus a generous master bath with dual vanities and a jetted tub! The first floor laundry is conveniently located just down the hall. Downstairs you will find a huge professionally finished space that would make the perfect place to relax. There is also a projection room for movies (projector and surround speakers to remain with home). In addition, you will find a great office space, a full bath and another spare room downstairs with lots of extra storage! The basement walks out to a patio on the lower level that is also accessible from the large deck off the great room. The backyard features ample room to roam and backs up to scenic wooded area and creek. This home has a front entry 2 car garage with additional room for storage and an insulated door. 8502 Hurstbourne Woods Place is found in a superior location with easy access to great shopping and excellent schools. Call today for your own personal tour of this delightful home!